Latest OMG Goss!! - New Judge being added! Judges/Hosts Publicity Pics - 'First' Look! OMG Recordings Next Week - COME! Finally, the good folks at Channel 5 have publicly unveiled (whoa that didn't sound too kosher), the identities of the hosts and judges for their upcoming talent show One Moment Of Glory. If you've been following my tweets today, you woulda seen it all unfold from about 11am this morning while the press conference was ongoing. Meet your wonderful hosts - Gurmit Singh and Michelle Chong! 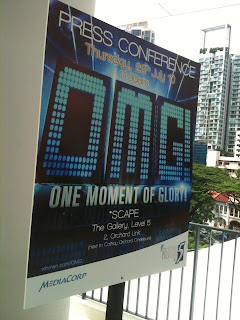 And the OMG! Judges are : resident judges Irene Ang and Mark van Cuylenberg a.k.a. The Flying Dutchman; as well as guest judges Beatrice Chia-Richmond and Jeanette Aw. Unfortunately for us, both Beatrice and Jeanette couldn't make it today due to scheduling conflicts. As promised, I've recorded videos of what went on at the press con, so here they are for your viewing pleasure. Not the best quality vids mind you, I had to juggle recording this and tweeting/twitpiccing at the same time. Also the venue was super echo-ey and I didn't have proper recording equipment (please remember I am just a mere blogger, not an actual videographer or producer :), but I try my best, so hope you can make out what's goin' on. Class 95's Jean Danker emceed the press con and looked mighty hawt in a black and pink mini-dress. Someone commented she looked very Gaga today. I would have to agree - lookit those legs though, they like go on forever! Tsk! Envy! This first vid shows the two hosts being introduced. The sound quality isn't great, but you can still hear what they're saying about the show. These next two vids feature the two resident judges talking about the show. Have a listen to what FD has to say about how he and Irene are going to be judging the talent on the show. After the big reveal, Channel 5 surprised the press further by introducing a few 'sample' acts from the show. First up were b-boy group Luminiq. Followed by soulful strummer singer-songwriter, Jill Marie Scott, singing her accoustic version of the Wondergirls hit 'Nobody'. Jill's actually a mini Youtube star, do a search for her and you'll see. Finally, show closer for the day was fire artiste Danny Koh. Apparently the poor guy had blisters in his mouth after the show because he 'tahan-ed' a little longer for dramatic effect today. 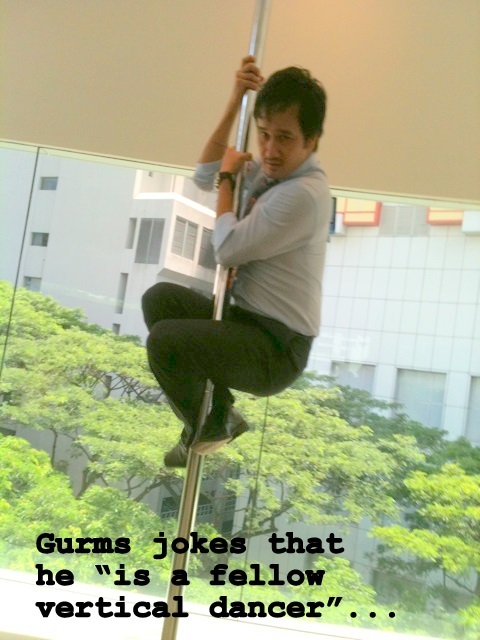 But like any true professional performer, you would never be able to tell. But Ouch! anyway. If you could see me while I was filming this you'd see me going 'Ow' and 'Yikes' every 5 seconds! After the performances were done, there was a quick photocall (that means photo-taking session for the non-media-type people) and voila, time for makan and mingling! Mingling here = one-to-one interviews with various press. I think the contestants had a good time showing off their talents and soaking up the atmosphere at their first media event :) Thanks for a good show today you guys - hope the press were just as impressed and will support the show! 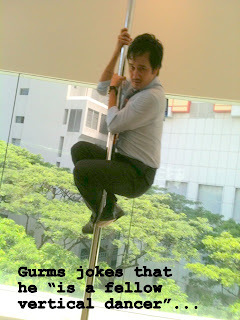 Overall, it was quite laid-back, relaxed presser, check out Gurms showing off his skills with a pole. Totally impromptu and all the photogs in the room dashed over and snapped like a gazillion pics of this! Over the next few days, I'll be putting up the individual profiles and interviews I did with each Judge and Host. Tomorrow's post - "How does the OMG format work?". 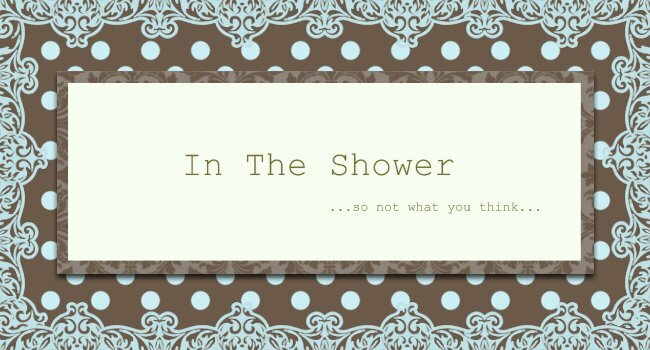 Imma tackle the difficult task of explaining to you how the show actually works. Hope you've enjoyed the vids and have a good night! ps. Don't you think Irene Ang looks hawt in that outfit? She's just looking better and better as the years go by. Just found out the jewellery she was wearing was designed by Lum May Yee - so thats where she's disappeared to, jewellery designing! ... and a development into "4D" printing. is added I get several e-mails with thesame remark. These conveniences (we counted 5) should make you take into consideration choosing multi-function printers. advanced components. So it's valuable if you seek for these multifunction printers on amazon, looked over testimonials and discover an affordable multifunction printer for on your own.